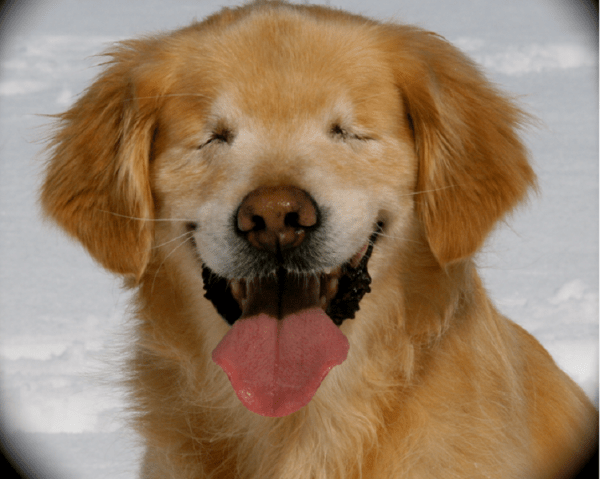 We have come across a Golden Retriever called Smiley in Canada who was born without eyes. Smiley was rescued from a puppy mill when he was 1 or 2 years old and was taken home to a loving family who nursed him back to health. Now he works with St John’s Ambulance Service in Stouffville, Canada as therapy dog, visiting nursing homes to brighten up the resident’s days.